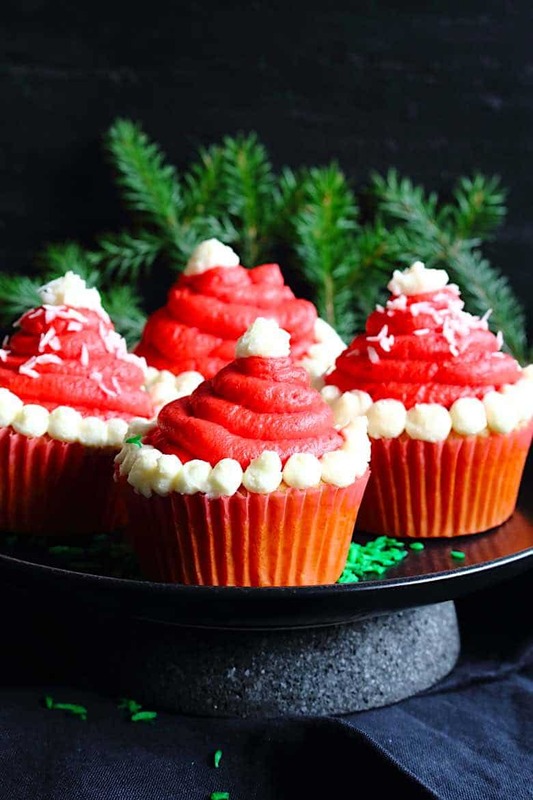 Those Keto Santa Hats Cupcakes are so cute, I think I will make them throughout the whole year. Not only during Christmas. 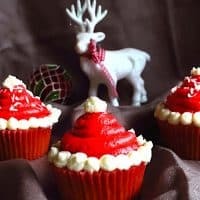 How to make Keto Cupcakes? There is a whole post on how to make Easy keto Cupcakes, which we use on every occasion. All you need is a different icing and transform those Cupcakes depending on the event. Be it Christmas, Easter, Halloween or some sort of celebration. 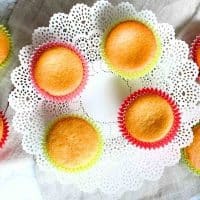 Those Keto Cupcakes are made with almond flour and are really the lightest and softest from all. Always a winner. As I see, my variation of Christmas Recipes is getting wider and wider. But that is the most or the only time I have ever baked. In my previous life – I mean life before Low Carb – I have to admit, I have almost NEVER baked. Baking and cooking was never my hobby. 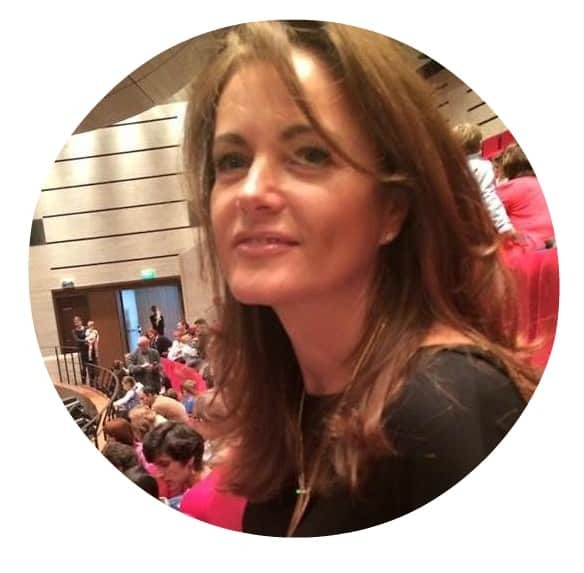 I have worked in marketing, where we used to organize regular events and that made me stay in the office or on the location until late evening. Then I had my daughter to take care of and cooking was really the last thing in my head. I would rather spend some quality time with her, if I had any, then cooking and being in the kitchen. It all changed when we started doing Low Carb. I have researched a lot and although I thought we have lived healthy, I was so mistaken. And I have also realized, that there is no way to go to the shop and just buy something Low Carb. Unless you do not make it yourself, you do not have it. You see how life changes? But this is the proof, that even if you are not a great cook, possibilities of one being an “Ok” cook or a baker are endless. How do I come up with those lovely ideas? There is always a story behind every recipe I share. Most of the time it is either when I an on Facebook, or scrolling through Pinterest, something catches my eye and the rest is using a bit of imagination. But most important for me personally is to make or bake something my daughter would love. Although half of the ideas are completely forgotten. But not really completely. They always appear from my head similarly to the story with our Homemade Cheese Dip. Since most of the ideas are filled with sugar and carbs, what inspires me the most, is to make it healthier. But of course fully Low Carb and Keto. And once I find something, its for us to keep. 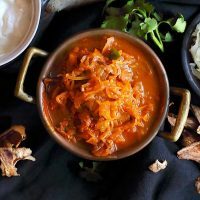 In those 8 years of Low Carb Lifestyle in our family, I have gone through millions of recipes. They were either found on the net or I have tried to come up with something myself. And do not think that all were perfect. Lots of failures are behind the development of those. 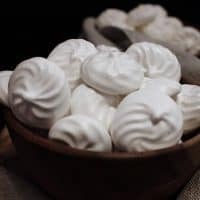 Like for example our Sugarfree Meringues Cookies. That recipe took me good 5 years to develop into a perfection you have right now. And you can enjoy it immediately. But what force me the most? What drives me to do it again and again? That feeling once the recipe is finally perfect. I just love it. And what makes me the happiest is, that I can share it with you and you can all enjoy this Low Carb lifestyle with us. 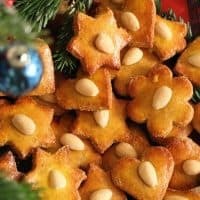 This post is very similar to Christmas Tree Icing process, except having the original Cream Cheese color and one with red color. For the white Piping bag I have used the smaller star-shaped tip and for the red Icing, I have taken a wider round shape Tip. For both of the Icing, I have to admit, I have used Natural Food Coloring from the bottle, which I have purchased from Amazon. 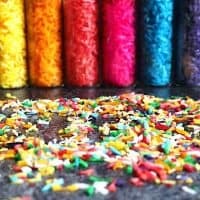 The reason was, that I have used already 2 days to make homemade colors for our Homemade Sugar-Free Keto Sprinkles and I really needed a lot of it for Icing. And the second reason, I have made all of this for my brother’s kids, who were supposed to arrive the next day, and there is no way in the world, I will be able to make it all till then. Well, probably I would If I would spend the whole night mixing instead of sleeping. But no. Not that far. Pls, give us 5 stars if you like it. Once you bake the those Easy Keto Cupcakes, (I have doubled the portion for 12 Cupcakes) make sure they are properly cooled. Mix Cream Cheese and Powdered Sugar substitute with a hand mixer until you get the smooth consistency. For Red use bigger round shape Icing tip. Place it in the fridge to cool properly. 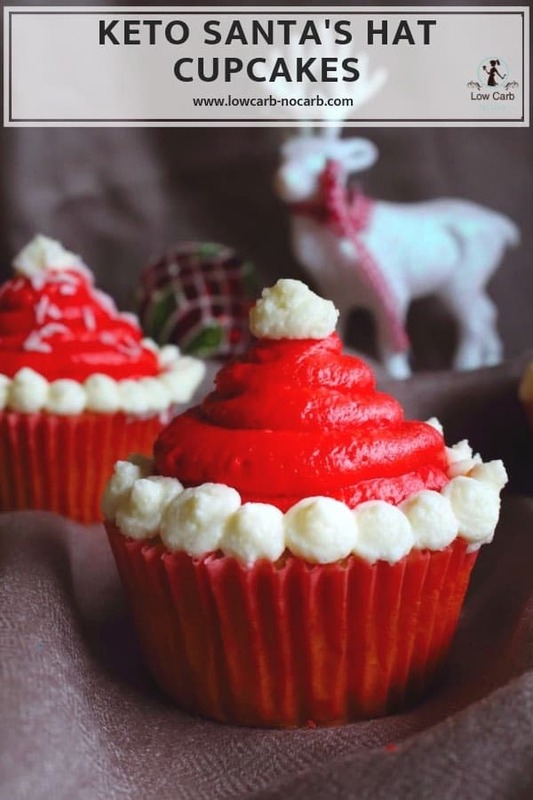 After you have shaped it into a Santa Hat, use the white Icing bag and place small round dots around the whole basse and one bigger for the tip of the cupcake Icing. If you do like, you can decorate it with just a plain Coconut stripes, or use our Sugar Free Keto Sprinkles Recipe to have it a bit more colorfull. 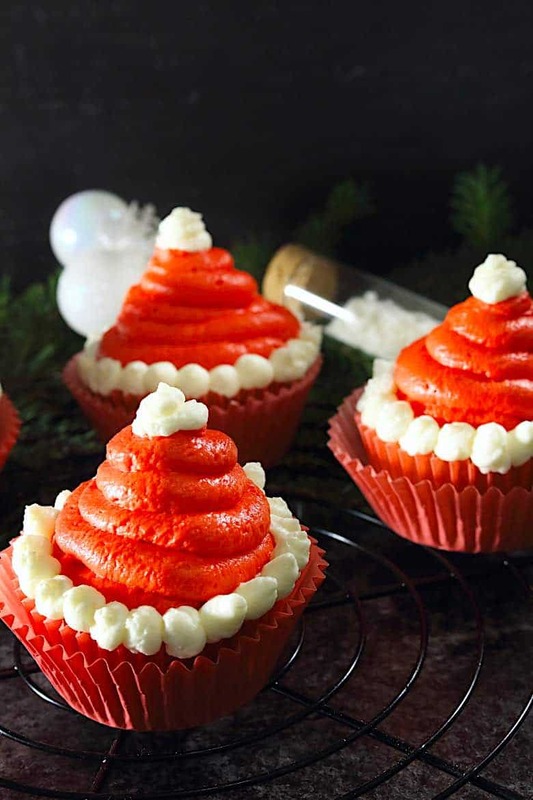 Do let us know what you have made with all of these Keto Santa Hats Cupcakes ideas and do not forget to send us pictures. We love looking at the great ideas you have come up with. 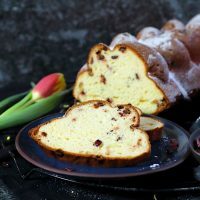 And at the end, just in case you would like to keep receiving all of the new recipes, do not forget to leave your email, so we can send you our Newsletter. What a cute idea! 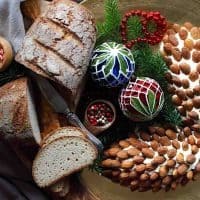 I think santa hats are under-loved in holiday recipes, and these look easy enough for even me to make! My piping skills aren’t the best though, lol. They are so easy to make, that even my kids want to make those. 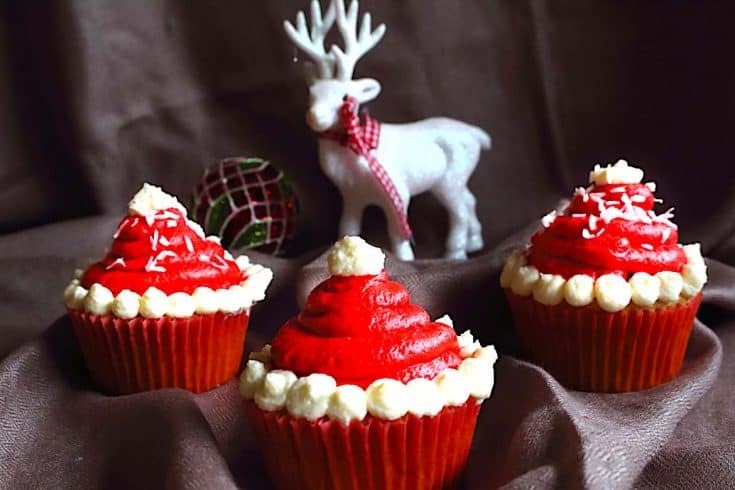 Together with Christmas tree cupcakes, those are the 2 recipes, they are ready to help all the time. Love the Santa hats. 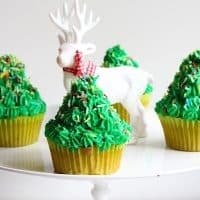 They are so cute and perfect to pair up with your Christmas Tree Cupcakes. These will be great for my kids’ school Christmas parties. You are so right. Both of those cupcakes are perfect for our kids not only for them to help, but also I think they looks WOW in their eyes.